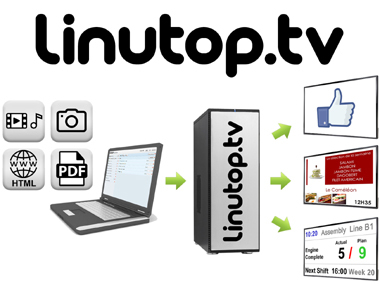 Linutop TV subscription is a turnkey solution to setup and manage your Digital Signage system. Order the number of screens you need in the Quantity field. (10€/screen/month).